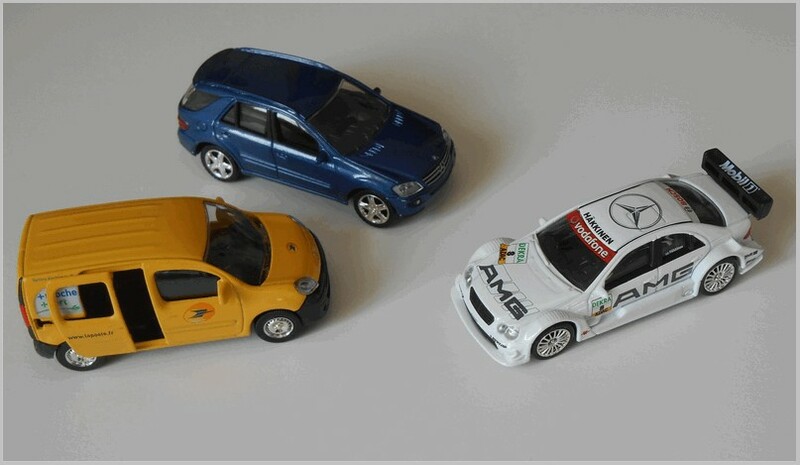 Whilst browsing the January posts on MAR Online I re-read the one about the 1:64 True-Scale models, and I realised that up to now I never posted anything about a huge part of my promotional models collection : the smallest ones and easiest to store, the c.1:64 scale models from Norev. These are so easy to store that I have already more than nine hundred in my collection. About twenty years ago the main French car manufacturers started to have small promo models made for them by Norev : Renault, then Peugeot and Citroen and now DS are reproducing their whole range. There are also regular updates for the usual half-life facelifts. 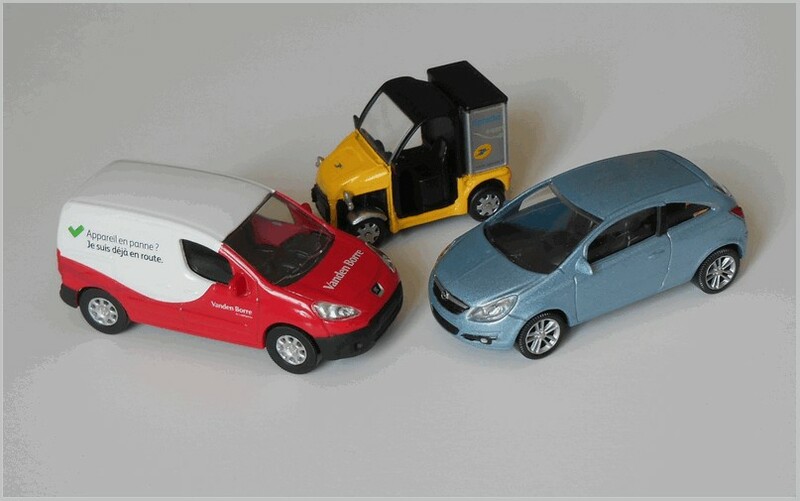 The models are produced in various original colours and with accurate details. Price of these models seldom exceeds five Euros. 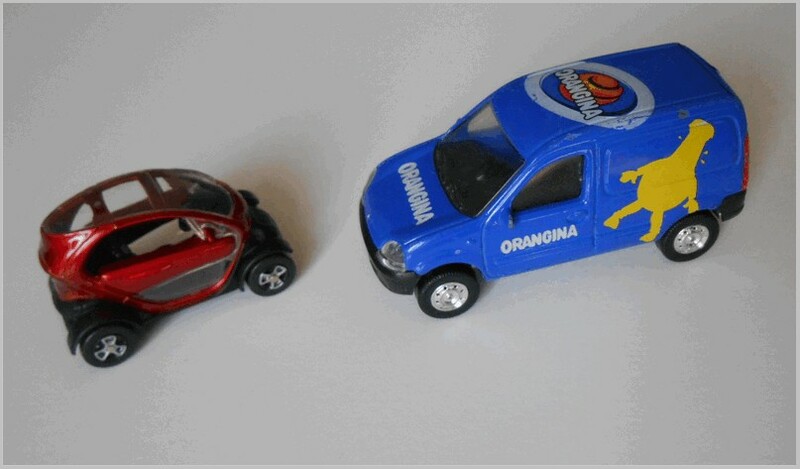 Alongside the ‘dealer promotionals’ and ‘public’ releases there is a third category: promotional models produced for industrial companies (and also football teams) for their own use. Firms like Darty, Vanden Borre, and La Poste have commissioned these as well as various charities who use them for fund raising. 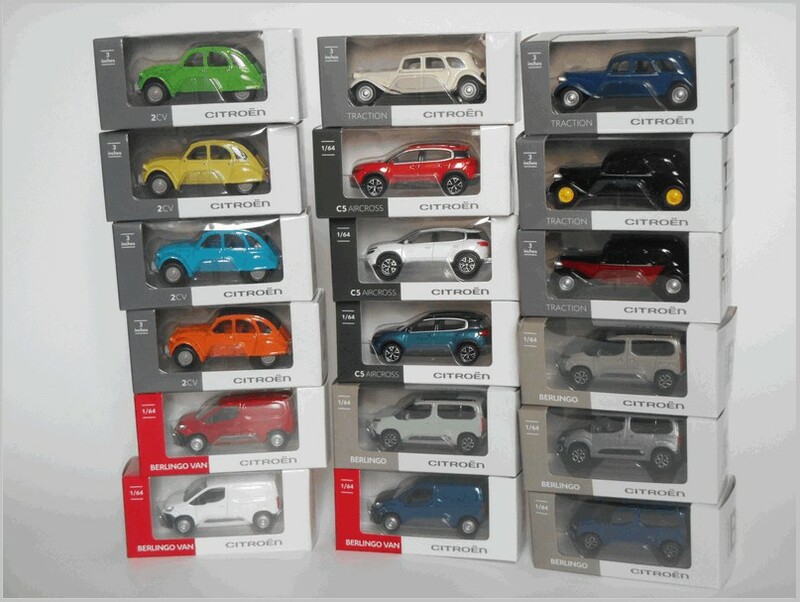 This provides scope for a very large collection and they are not limited to French Car Makers as many other car manufacturers have requested promotional models for their own use : Opel, Lancia, Volkswagen, Mercedes-Benz, Fiat, Mini, for example. A really comprehensive and useful web site is the one regularly maintained by Mike Branderhorst, also known as MjrttNrv, from the Netherlands (http://www.mjrttnrv.nl/ ). Here you can see many pictures and details about small Norev and Majorette models. 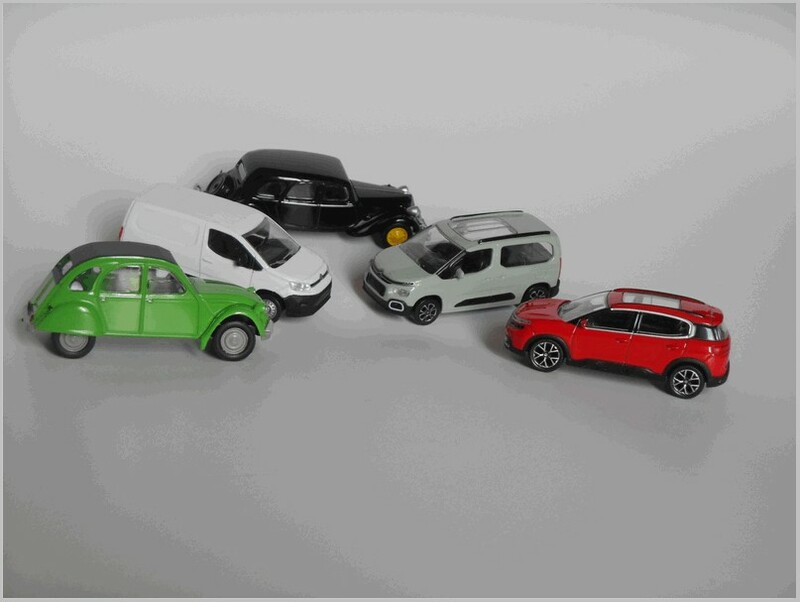 Photo 1 shows some recent issues by Citroen : C5 Aircross 2018, Berlingo Combi 2018, Berlingo Van 2018, 2 CV6 1975 and the famous Traction. 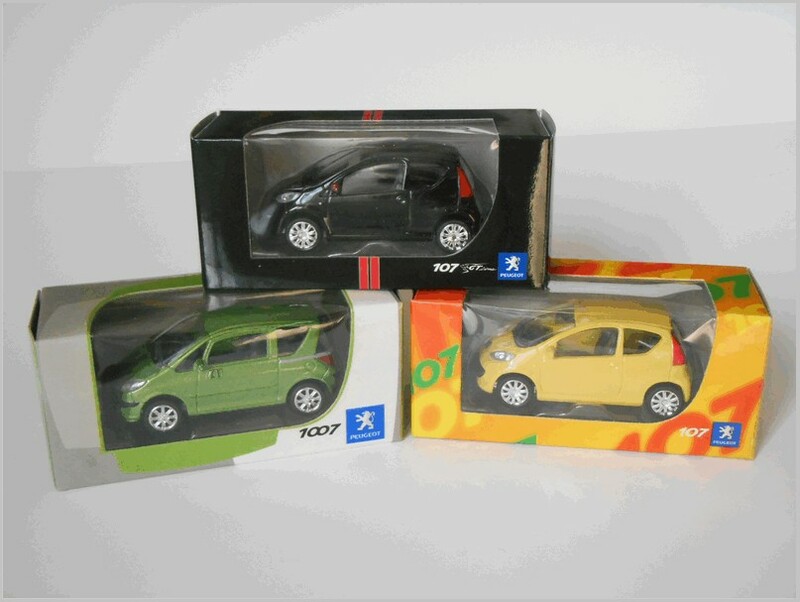 Photo 6 shows a selection of Peugeot 107 and 1007 models with their dedicated promotional boxes.